1.M.G.A.01: The Highly Proficient student can create, describe, and compare additional attributes of polygons and justify their reasoning. 1.M.NBT.A.01: The Highly Proficient student can identify, write and read whole numbers greater than 200. The Highly Proficient student can count forward beyond 200 and backwards from 200. 1.M.NBT.B.02: The Highly Proficient student can describe a four-digit number using thousands, hundreds, tens, and ones. 1.M.NBT.B.03: The Highly Proficient student can compare two whole numbers greater than 200 and order three or more numbers greater than 200. G1.1M.C2.PO3: The Highly Proficient student can use fact families to add and subtract facts greater than 10-10. 1.M.MD.A.01: The Highly Proficient student can order three objects by length and justify their reasoning. The Highly Proficient student can compare the length of two objects using a third object and justify their reasoning. 1.M.MD.A.02: The Highly Proficient student can measure the length of an object using a shorter object and a standard measurement tool. 1.M.G.A.03: The Highly Proficient student can divide additional shapes into two and four equal parts and describe each piece using the correct vocabulary (halves, quarters, half of, and quarter of). The Highly Proficient student can divide circles and rectangles into equal parts (3, 5, 6, etc.) and describe each piece using the correct vocabulary (thirds, fifths, sixth, third of, fifth of, sixth of, etc.). 1.M.OA.B.03: The Highly Proficient student can use properties of operations as strategies to add and subtract beyond 20 and justify their reasoning. 1.M.OA.B.04: The Highly Proficient student can understand subtraction as an unknown-addend problem beyond 20 and justify their reasoning. 1.M.OA.C.05: The Highly Proficient student can count on and count back to solve two digit beyond 20 and three-digit addition or subtraction problems. 1.M.OA.D.08: The Highly Proficient student can create and solve an equation with a missing number containing three or more digits and explain their steps. 1.M.MD.B.03a: The Highly Proficient student can tell and write time to the nearest quarter hour using an analog and digital clock. 1.M.MD.B.03b: The Highly Proficient student can count the total value of a collection of mixed coins greater than $1.00. 1.M.MD.C.04: The Highly Proficient student can create a survey with up to three categories, collect data, and graph the data using at least two different types of graphs (bar graph, pie chart, pictograph, line graph, tally chart, etc.). The Highly Proficient student can also create word problems with solutions for each of their graphs. 1.M.NBT.C.05: The Highly Proficient student can mentally add or subtract by 100s using different starting points (100-900) and justify their reasoning. 1.M.OA.D.07: The Highly Proficient student can create their own multi-digit addition and subtraction equations and explain how to solve them in their own words. 1.M.NBT.C.04: The Highly Proficient student can add a 3 digit number with another 3 digit number, with and without regrouping, using models, drawings, and strategies to justify their answer. 1.M.NBT.C.06: The Highly Proficient student can subtract multiples of 100 using concrete models, drawings, and strategies to justify their answer. 1.M.OA.A.01: The Highly Proficient student can create their own word problem and solve it with an addition or subtraction equation beyond 20 and justify their solution. 1.M.OA.A.02: The Highly Proficient student can solve addition word problems using three numbers beyond the sum of 20 with a symbol for the unknown number. 1.M.OA.C.06: The Highly Proficient student can add and subtract with regrouping beyond 20. 1.R.RF.01a: The Highly Proficient student can consistently write correct sentences with a capital at the beginning and correct punctuation at the end. 1.R.RF.02b: The Highly Proficient student can blend sounds together to say a multi-syllable word and decode a list of above-grade-level words using blending. 1.R.RF.02c: The Highly Proficient student can identify and say the beginning, middle, and ending sounds in a spoken, multi-syllable word. 1.R.RF.02d: The Highly Proficient student can segment a word when given a multi-syllable word. 1.R.RF.03a: The Highly Proficient student can generate and correctly spell a list of words containing various consonant digraphs and read them aloud. 1.R.RF.03c: The Highly Proficient student can determine that every syllable must have a vowel sound to determine the number of syllables in a printed word. 1.R.RF.04c: The Highly Proficient student can use context to confirm or self-correct word recognition and understanding, rereading as necessary. G1.1R.C1.PO1: The Highly Proficient student can alphabetize a list of words to the second letter. 1.R.RF.02a: The Highly Proficient student can identify the vowel sounds and distinguish whether each is long or short when given a set of multi-syllable spoken words. 1.R.RF.02e: The Highly Proficient student can write a list of rhyming words using a variety of phonograms and consonant blends. 1.R.RF.02f: The Highly Proficient student can manipulate phonemes in multi-syllable words to make new multi-syllable words. 1.R.RF.03d: The Highly Proficient student can list an example for each of the six syllable types. 1.R.RF.03e: The Highly Proficient student can choose a root word and add an inflectional ending to create a new word using regular and irregular ending rules. 1.R.RI.05: The Highly Proficient student can list the features of an expository text and illustrate examples of each. 1.R.RI.07: The Highly Proficient student can independently read an informational selection without illustrations, and describe key ideas using illustrations. 1.R.RL.02: The Highly Proficient student can write their own narrative that includes a lesson or central message. 1.R.RL.03: The Highly Proficient student can write detailed sentences that describe the characters, setting and major events in a story with a moral. 1.R.RL.04: The Highly Proficient student can identify words and phrases in stories or poems that suggest feelings or appeal to the senses. 1.R.RL.06: The Highly Proficient student can identify who is telling the story at various points in a text. 1.R.RL.07: The Highly Proficient student can independently read a literary selection, without illustrations, and describe the characters, setting, and sequences of events using illustrations. 1.R.RL.09: The Highly Proficient student can compare and contrast themselves to a character in a literary selection and describe how they are alike and/or different using examples from the story. 1.R.RL.10: With prompting and support, read stories, drama, and poetry of appropriate complexity for grade 1. 1.R.RL.10: With prompting and support, read informational texts, including functional texts, history/social studies, science, and technical texts, appropriately complex for grade 1. 1.R.RI.02: The Highly Proficient student can identify and summarize the main topic and supporting details in an informational text. 1.R.RI.03: The Highly Proficient student can compare and contrast two or more informational pieces of text including individuals, events, ideas, and pieces of information. 1.R.RI.04: The Highly Proficient student can independently decode and comprehend a text with unknown words. 1.R.RI.06: The Highly Proficient student can distinguish between information provided by pictures or other illustrations and information provided by the words in a text. 1.R.RI.08: The Highly Proficient student can compare and contrast the details from two informational texts on the same topic using a graphic organizer, such as a Venn diagram. 1.R.RI.09: The Highly Proficient student can identify basic similarities in and differences between two texts on the same topic (e.g., in illustrations, descriptions, or procedures). 1.R.RL.05: The Highly Proficient student can write a short story and label if it is fiction or nonfiction. 1.R.RF.03bf: The Highly Proficient student can read a list of regularly spelled multi-syllable words. The Highly Proficient student can read the first and second grade Dolch list with 100% accuracy. 1.R.RF.04a: The Highly Proficient student can read 61+ words per minute on a text. 1.R.RF.04b: The Highly Proficient student can read on level and comprehend what is read. G1.1S.C1.PO2: I can ask questions based on experiences with objects, organisms, and events in the environment. G1.1S.C1.PO3: I can predict results of an investigation based on life, physical, and earth and space sciences (e.g., animal life cycles, physical properties, earth materials). G1.1S.C2.PO2: I can participate in guided investigations in life, physical, and earth and space sciences. G1.1S.C2.PO3: I can use simple tools such as rulers, thermometers, magnifiers, and balances to collect data (U.S. customary units). G1.1S.C2.PO4: I can record data from guided investigations in an organized and appropriate format (e.g., lab book, log, notebook, chart paper). G1.1S.C3.PO2: I can compare the results of the investigation to predictions made prior to the investigation. G1.1S.C4.PO1: I can communicate the results of an investigation using pictures, graphs, models, and/or words. G1.1S.C4.PO2: I can communicate with other groups to describe the results of an investigation. G1.2S.C1.PO1: I can give examples of how diverse people (e.g., children, parents, weather reporters, cooks, healthcare workers, gardeners) use science in daily life. G1.4S.C1.PO1: I can identify the characteristics of living things. G1.4S.C1.PO3: I can identify observable similarities and differences (e.g., number of legs, body coverings, size) between/among different groups of animals. G1.4S.C2.PO1: I can identify how a human grows. G1.4S.C2.PO2: I can identify similarities and differences between animals and their parents. G1.5S.C1.PO1: I can classify objects by shape, texture, size, color, and weight. G1.5S.C2.PO1: I can show how objects move. G1.6S.C1.PO3: I can identify common uses (e.g., construction, decoration) of basic earth materials (i.e., rocks, water, soil). G1.6S.C1.PO4: I can identify natural resources. G1.6S.C1.PO5: I can identify ways to conserve natural resources (e.g., reduce, reuse, recycle, find alternatives). G1.4S.C3.PO1: I can identify some plants and animals that exist in the local environment. G1.4S.C3.PO2: I can compare the habitats (e.g., desert, forest, prairie, water, underground) in which plants and animals live. G1.4S.C3.PO3: I can describe how plants and animals within a habitat are dependent on each other. G1.5S.C1.PO2: I can classify objects as solids or liquids. G1.2S.C1.PO2: I can identify how diverse people and/or cultures, past and present, have made important contributions to scientific innovations (e.g., Sally Ride [scientist], Neil Armstrong [astronaut, engineer]). G1.3S.C2.PO1: I can identify various technologies (e.g., automobiles, radios, refrigerators) that people use. G1.6S.C2.PO1: I can identify that the sun gives us heat and light. G1.6S.C2.PO3: I can identify what I see in the sky. G1.6S.C2.PO2: I can compare celestial objects (e.g., Sun, Moon, stars) and transient objects in the sky (e.g., clouds, birds, airplanes, contrails). G1.6S.C3.PO1: I can identify different seasons of weather. G1.6S.C1.PO1: I can describe basic earth materials. G1.6S.C1.PO2: I can identify and compare basic earth materials. G1.1S.C1.PO1: I can use my 5 senses to compare objects. G1.1S.C2.PO1: I can use scientific objects correctly. G1.1S.C3.PO1: I can compare, classify, and sequence objects. 1.L.01a: The Highly Proficient student can use common, proper, and possessive nouns. 1.L.01b: The Highly Proficient student can use singular and plural nouns with matching verbs in basic sentences (e.g., He hops. We hop.). 1.L.01i: The Highly Proficient student can create a compound and complex sentence using correct punctuation and capitalization. 1.L.01k: The Highly Proficient student can write a paragraph with a main idea and supporting sentences of student-chosen topic using correct punctuation and capitalization. 1.L.02b: The Highly Proficient student can independently write sentences, using correct ending punctuation. 1.W.04: The Highly Proficient student can independently create functional writing and explain how it helps in the real world. 1.L.01c: The Highly Proficient student can use singular and plural nouns with matching verbs in basic sentences (e.g., He hops; we hop). 1.L.01e: The Highly Proficient student can create a sentence using 2 or more adjectives correctly. 1.L.02a: The Highly Proficient student can, when given a writing piece, identify all words that need to be capitalized (proper nouns, word ‘I’, months, days, holidays, abbreviations). 1.L.02c: The Highly Proficient student can use commas in dates and to separate single words in a series. 1.L.04: With guidance and support from adults, the Highly Proficient student can determine or clarify the meaning of unknown and multiple-meaning words and phrases based on grade 1 reading and content, choosing flexibly from an array of strategies. a. Use frequently occurring affixes as a clue to the meaning of a word. b. Identify frequently occurring root words (e.g., look) and their inflectional forms (e.g., looks, looked, looking). c. Use sentence-level context as a clue to the meaning of a word or phrase. 1.L.05ab: The Highly Proficient student can independently create categories, using logical attributes, and list words in each category. 1.L.05d: The Highly Proficient student can distinguish shades of meaning among verbs differing in manner (e.g., look, peek, glance, stare, glare, scowl) and adjectives differing in intensity (e.g., large, gigantic) by defining or choosing them or by acting out the meanings. 1.W.03: The Highly Proficient student can independently write a narrative that includes a beginning, middle, and end. Must also include two sequenced events, temporal words, details and a sense of closure. 1.L.01d: The Highly Proficient student can use personal, possessive, and indefinite pronouns (e.g., I, me; they, them, their; anyone, everything). 1.L.01e: The Highly Proficient student can use verbs to convey a sense of past, present, and future (e.g., Yesterday I walked home; Today I walk home; Tomorrow I will walk home). 1.L.01f: The Highly Proficient student can use frequently occurring conjunctions (e.g., and, but, or, so, because). 1.L.01ghi: The Highly Proficient student can use determiners (e.g., articles, demonstratives), use frequently occurring prepositions (e.g., during, beyond, toward), and produce and expand complete simple and compound sentences. 1.W.01: The Highly Proficient student can write an opinion on a topic of his/her choice, with at least three reasons to support it, and include topic and closing sentences. 1.W.07: The Highly Proficient student can independently select a topic, research it and use the information to write a report using organization, pre-write, edit, and publish. 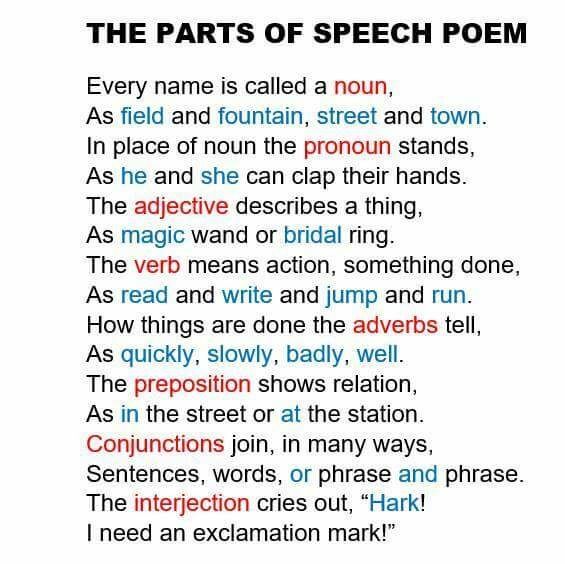 1.L.01j: The Highly Proficient student can create a declarative, interrogative, imperative, and exclamatory sentence using correct punctuation and capitalization. 1.L.05c: The Highly Proficient student can identify real-life connections between words and their use (e.g., note places at home that are cozy). 1.W.02: The Highly Proficient student can independently write an informative/explanatory text in which he/she names a topic, supplies some facts about the topic, and provide a sense of closure, using organization, pre-write, edit, and publish. 1.L.06: The Highly Proficient student can use words and phrases acquired through conversations, reading and being read to, and responding to texts, including using frequently occurring conjunctions to signal simple relationships (e.g., because). 1.W.05: With guidance and support from adults, the Highly Proficient student can focus on a topic, respond to questions and suggestions from peers, and add details to strengthen writing as needed. 1.W.06: With guidance and support from adults, the Highly Proficient student can use a variety of digital tools to produce and publish writing, including in collaboration with peers. 1.W.08: With guidance and support from adults, the Highly Proficient student can recall information from experiences or gather information from provided sources to answer a question. 1.WF.01abc: The Highly Proficient student can write a paragraph using correct letter formation, spacing, and with correct grapheme awareness. Students should include correct punctuation. 1.WF.02ab: The Highly Proficient student can demonstrate and apply sound-letter concepts when writing. a. Orally segment the phonemes in any single-syllable, spoken word. b. Demonstrate and understand that each syllable is organized around a vowel sound. 1.WF.03a: The Highly Proficient student can consistently spell common, regular, and single syllable words using a variety of phonemic and word analysis skills. 1.WF.03b: The Highly Proficient student can spell on-level words with inflectional endings that change the base word. 1.WF.03c: The Highly Proficient student can consistently spell multi-syllable words correctly in their writing. 1.WF.03de: The Highly Proficient student can consistently spell on and above grade level words correctly.